Fall is here! And with it, we are treated to a whole new palette of colors just as delightful as those we enjoy during summer. 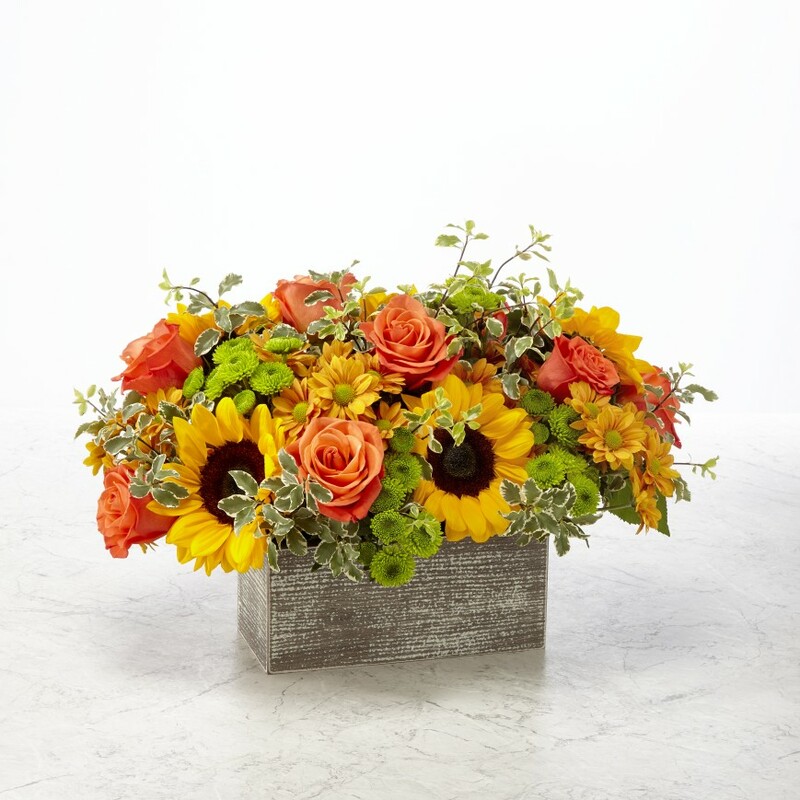 Our florists are often asked “What are the best flowers for fall arrangements?” Of course, the answer varies for each of us; because beauty is in the eye of the beholder. These classics are hearty, represent the season, and fit any occasion. Plus, they each come in a variety of colors. The spectacular hues of fall roses also add a rich dynamic to any flower arrangement. For Fall 2018, sun drenched yellows, crimson reds, deep violet, dark pinks and sunset oranges, accented with bronze and copper make a breathtaking display. The rustic beauty of Asiatic lilies, Aster, Cattail or Wheatgrass, add even more character to an arrangement. And the simplicity, of pixie carnations, Statice and Curly Willow can turn a basic flower design into something special by adding color and depth. Yes, size matters. Bigger isn’t always better. Whether you buy professionally designed arrangements from a flower shop or cut them from your yard, it’s important to keep in mind where you are placing your arrangement, as well as the occasion. A coffee table will need a smaller arrangement (remember smaller doesn’t always mean less), depending on the flowers you choose. A centerpiece should be low, so guests can see over it and enjoy conversation. Fall flowers lend themselves nicely to both baskets and vases – you can even opt for less conventional containers, such as pumpkins or other gourds. Remember, it is important to properly care for your flowers so you can enjoy them a little longer. Click here for more information. Churchland’s Village Flower Shop is a family owned and operated florist. Call 757-484-2642 or click www.cvflowers.com or order fresh cut flowers designed by professionally trained florists.